ACFHP has partnered with the Southeast Aquatic Resources Partnership, our neighboring Fish Habitat Partnership, on a NOAA-funded initiative to characterize fish habitat conservation areas through GIS mapping and analysis for the southeast region of the US from North Carolina to Florida. The resulting maps will help ACFHP identify where best to invest effort and future funding. Results are coming soon, as is our plan to move this project up the coast. The Species-Habitat Matrix is an evaluation of the importance of benthic habitats as space for shelter, feeding, and breeding by coastal fishes and motile invertebrates in ACFHP’s four subregions. The analysis quantified the relationship between over 100 different species across four life stages and 26 different habitats. To access the data, visit Species-Habitat Matrix tool. To view the results published in BioScience, visit here. To view the summary report, visit here. To view press on the Species-Habitat Matrix, click here, here, and here. ACFHP is currently working on a project with the University of Maryland Eastern Shore through a grant from the Mid-Atlantic Fishery Management Council to study the relationship between black sea bass abundance and habitat characteristics in the Mid-Atlantic Bight. Data is being collected on black sea bass abundance, stomach contents, and position in the food web, as well as characteristics of the habitats black sea bass are associated with: bottom type, whether a reef is natural or artificial, and the plants, animals, and algae attached to each habitat. This work will lead to a better understand of the importance of habitat and prey community structure on black sea bass feeding ecology. Check back soon for results! To see the press release, click here, and to view press on the project, click here. The Fish Habitat Decision Support Tool provides resource managers and the general public with access to the extensive spatial data and results produced from multiple fish habitat assessments. It incorporates intuitive basemaps and mapping features to allow users to explore the details of the assessments and perform subsequent analyses. ACFHP, Downstream Strategies, The Nature Conservancy, and partners created two assessments within the Fish Habitat Decision Support Tool. The first assessment generates predictive models of winter flounder distribution based on a variety of variables in Narragansett Bay and Long Island Sound. 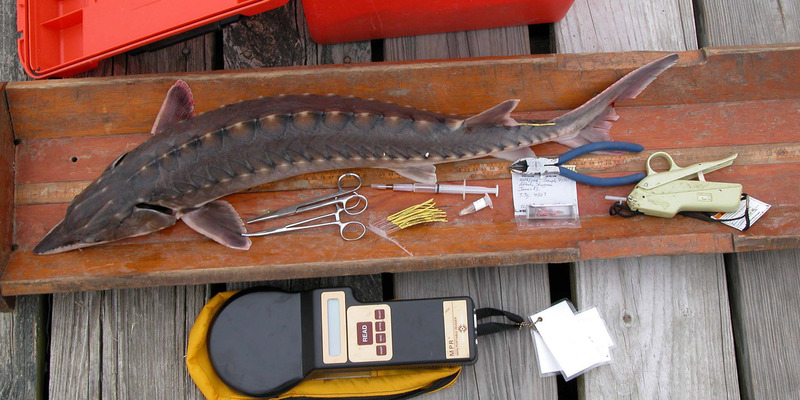 The second assessment identifies areas of high diadromous fish conservation potential along the Atlantic coast. The Assessment of Existing Information was completed in 2009 with the primary purpose of informing and enabling conservation planning for ACFHP. It includes three components – (1) a representative bibliographic and assessment database, (2) a GIS spatial framework, and (3) a summary document with a description of methods, analyses of results, and recommendations for future work. The results supported the development of priorities for ACFHP’s conservation efforts within its boundaries.